In a twist of events, the Ex-Katikkiro, Joseph Mulwanyamuli Semogerere has distanced himself from the Inter-Party Coalition (IPC) reasoning that he is an individual who cannot be part of IPC which is a coalition of parties. This follows reports that the coordinator of SSUUBI 2011 and former Buganda Kingdom junior minister for Information Medard Ssegona Lubega had also said that SSUUBI is not part of the IPC, a coalition of parties that seeks to present a joint presidential candidate in the forthcoming elections. Mulwanyamuli the patron of SSUUBI 2011 who featured on an internet based radio in the UK, connectuganda.com, Sunday evening also said that SSUUBI 2011 a will not endorse any candidate in the forthcoming elections as earlier reported. “There will be no SSUUBI candidate in the next elections but for us we shall support any candidate from any party as long as they support Buganda issues and change” said Mulwanyamuli. He dismissed as untrue reports that the pressure group will be producing a list of their desired candidates as earlier reported. Mulwanyamuli regretted the fact that SSUUBI 2011 has created more confusion and division that unity which they had intended to work for. Meanwhile DP’s Entebbe municipality MP Mohammed Kawuma who featured on the same show described SSUUBI 2011 as FDC project propagated by mostly DP MP’s opposed to leadership of Nobert Mao on the basis of his ethnicity. Earlier on retired primate, Cardinal Emmanuel Wamala dismissed SSUUBI 2011 as a plot to engage the Kabaka into divisive politics in effect walking in the foot steps of the infamous 1961 Kabaka Yekka (KY) which marked the beggining of political violence in Uganda. The Cardinal also criticised DP members opposed to Nobert Mao saying he was legally elected as the leader of the Democratic Party.Buganda Kingdom primier Eng. 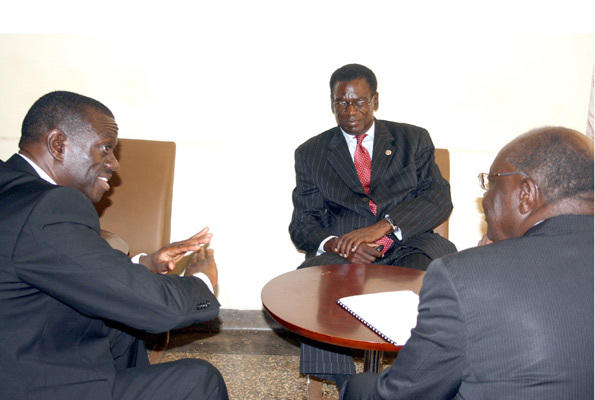 JB Walusimbi also came out to warn the pressure group against dragging the Kabaka's name in politics. Katikkiro said, SSUUBI members should explain themselves to the electorate without involving the Kabaka since they resigned their positions and have no right to speak for Mengo.Other statesmen that have spoken against SSUUBI 2011 included the former DP President General John Ssebaana Kizito and former Katikkiro Daniel Muliika.